The CMP incorporates community perspectives to showcase the talents of artists locally, regionally and abroad, while contributing to the cultural and visual vibrancy of the city. Our broad curatorial interests range from modern street/graffiti art to wheat-pasted photographs to more formal “themed” murals. We partner with painters, illustrators, photographers, graphic designers–even poets and writers! We also believe it’s important to inspire people of all ages with creative, public art projects. By involving the public in projects that visibly change the landscape of our city, we help instill a sense of pride and involvement in the community. 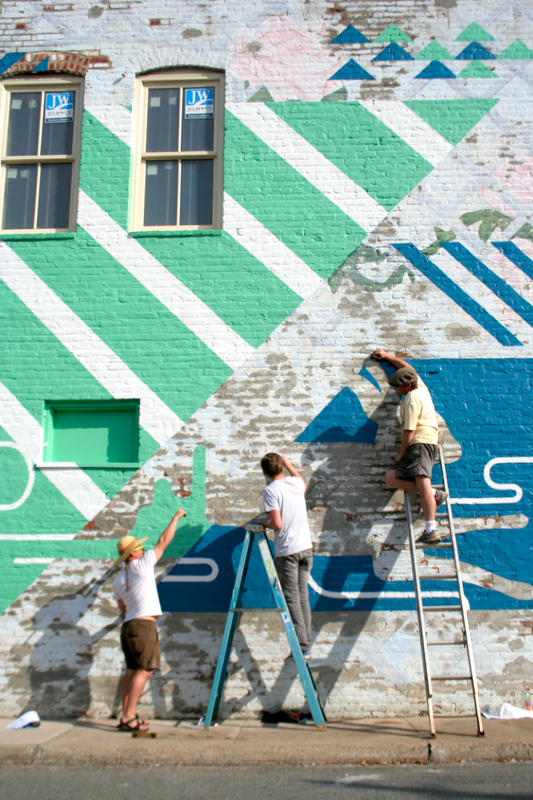 Additionally, murals are a great way to encourage teamwork and artistic expression. There’s nothing like getting covered in paint!